October 2017: Based on the Scam Label applied to Binary Tilt, the FPA now considers Binary Tilt and all associated companies to be scams. The FPA warns all traders against doing business with BinaryTilt, MaxCFD, BinaryOptionFlow, or any related company. If you have money with any of these companies, the FPA recommends you attempt to withdraw your funds immediately. June 2017: ASIC has added Chemmi Holdings to its list of unlicensed companies you should not deal with. CLICK HERE to verify. Chemmi Holdings appears to own MaxCFD.com, BinaryOptionFlow.com, and BinaryTilt.com. MaxCFD is a forex broker. Max CFD offers the maxcfd forex trading platform. MaxCFD.com offers over 5 forex currency pairs, cfds, commodities, indices and stocks for your personal investment and trading options. In my opinion MAXCFD do not deserve any star rating. I have logged on site my full withdrawal request, and to date have nothing and no communication in spite of several requests. Have I been scammed? I foolishly fell into the Maxcfd trap. Now cannot get me money back. No contact or emails. I will keep trying have registered complaint with the UK FSA and my bank. Hoping for a good out come. DO NOT USE THEM. THEY ARE SCAMMERS. I was promised that I will get a call from the next day for guidance after transferring some funds, but that never happened. I then tried to withdraw my money as I was not happy and was informed that it will take 10days. I am still waiting and now they are not taking my calls... WHAT SHOULD I DO TO GET MY HARD EARNED MONEY BACK??? deposited $1000 on 08/09/17. After they received all my documentation etc I had suspicions on talking to one of their traders , so decided to stop process and asked for my money back. After approximately 15 e-mails I was told I had to go through the verification process to release my funds (no trading by me or any contact despite multiple smarmy calls from people, approx five a day, saying they were lead traders etc, etc, whom I told quite firmly not to call me as I was in withdrawal mode). I finally got an e-mail informing me that my withdrawal would take 7 to 10 days to process. Here we are after this time, no money, no response from these ********, we are pensioners and can ill afford to lose cash like this. Can the authorities not do anything? This is criminal. Opened and account with Maxcfd to trade the Bitcoin then decided against it after my setup call from the 'Financial Advisor' who was trying to get me to invest 10 x the amount I had deposited all the while with loud music playing in the background, the alarm bells started ringing for me. Decided to withdraw my cash the following week and it's been one month now and no funds transfer yet even after supplying the required documents. Un professional people answer the hotline and fob you off with excuses telling you the transfer is in progress but nothing happens. It's looks like a scam don't trust them : Customer ID 2102621. Same story as everyone here, waiting to withdrawl 250 EUR. Got hooked in while trying to buy bitcion. Seem to get rung up by several persons with European name but South Asian Accent. Did not want any phone conversation. Filled out all forms to activate accounts for withdrawl. Withdrawl pending for 10 days now. Have given them another 5 days and I am contacting the bank to get it reversed as a fraud. this is bad for brokers everywhere. I have had a similar experience to others with MAXcfd. Account number: 2102763. I deposited $1000 in August, changed my mind after one trade and decided to get my money out. Payment was 'pending' by 1st September. Needless to say, despite several (unanswered) emails and one response from them insisting the right people have been contacted with my request and 'they will surely do the necessary' they haven't, and it's now 20th September. they say to get your money out takes 7-10 days. It's a scam. I should have read reviews before -there are many of us in the same position. After doing a search on Bitcoin trading, I came across Mxcfd.com. The company appeared to be legitimate. I went through the terms and noticed that i had to make a minimum deposit of USD $250-00. I registered and made the payment and immediately I noticed that I couldn't trade. I immediately became suspicious and when I was contacted by a Michael van Cleef, I requested a refund. I raised the issue that I discovered that they were scammers. He requested me to send my personal details which I did. Michael informed me that I would be refunded. It's now 2 days later and no refund. I also received an email from Grace Paul informing me that they would issue a refund, When I request a date, my email was ignored. Their website chat doesn't work. I received one reply to an email I sent to support. All the banks in South Africa as MXCFD use an instant payment method. 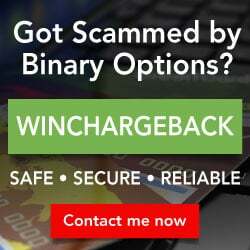 I will also notify all banks and bank organisations in Europe. I will also send an email and report their activities to Google. These people must be brought to justice. Who knows what do they do with the money they scam: Drugs, guns, human trafficking, sponsoring terror campaigns! Opened account thinking it was a good idea to invest in Bitcoin. After paying $250 they have locked my access to my account so I can't get my money back. They scammed me. I have tried to contact them through phone and email and no replies. Terrible people who are scamming people out of all their money.